Today, we're going to be chatting about one of my favorite subjects... travel preparedness. (I have no idea when this became one of my favorite topics, but it totally is.) I was one of those people who had never flown on a plane until I was around thirty years old. Because of that, travel has become a rather new and exciting thing to me in the past decade and we have made some really sweet and fun memories as a family and as a couple because my man loves to travel. I spent the majority of my earlier life over-packing because "you never know." But I learned some tips that have served me well for years, and now I love the entire packing process and can do it in about ten minutes flat. This is a long one, but I hope you enjoy. I figured out one really important thing about myself when it comes to travelling. Heading out with a carryon, and no checked baggage is my jam. In fact, I'll do about anything to not check a bag!! A couple of years ago, I discovered the world's most perfect travel carryon. One that even saw me through an eight day camping trip to Banff last summer. My daughter, perched on the edge of the bed, watching me pack one day, proclaimed that it was a magic bag and she asked for one herself, on her next birthday. It's this under seat carryon by Travelon. As girls, we could not LOVE this bag more. It is stacked with zippers and compartments so you can quickly and easily tuck items away in an organized fashion (be still my heart) and it seems as though everything has a place. I roll every item of clothing and feel that this is key! ROLLING! 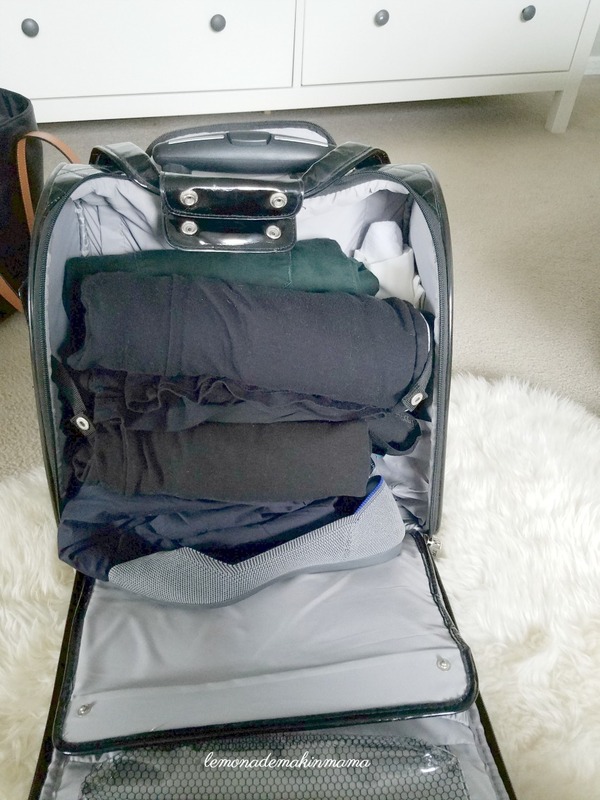 My man has a totally different opinion when it comes to packing, but I have tried both methods and mine saves bunches of room so I stick to what works best. I either stack the rolled items horizontally as I have shown here, or I tuck them in vertically if I have a lot. (That was the secret to our Banff trip.) When I pack, I always figure like this- Three days= Six days, if everything gets worn twice. Look how much room I still had in this! I could have easily added two or three more days of outfits if I had wanted to. Another sort of important thing I do, is decant nearly all of my full-sized beauty products into tiny containers with screw top lids, and then slap a label on it, rather than purchasing travel sized items. I prefer doing that because 1) less waste 2) I really like the products I use daily and don't want to use something else for a few days if I can bring a small amount of my own stock, if that makes sense. This works from skincare to makeup to shower products. For our weekend getaway last weekend, we were gone three days and two nights to a resort with some snow. We knew we wouldn't be out in it for the most part but I planned a pair of boots for the just in case factor and was really glad I had. 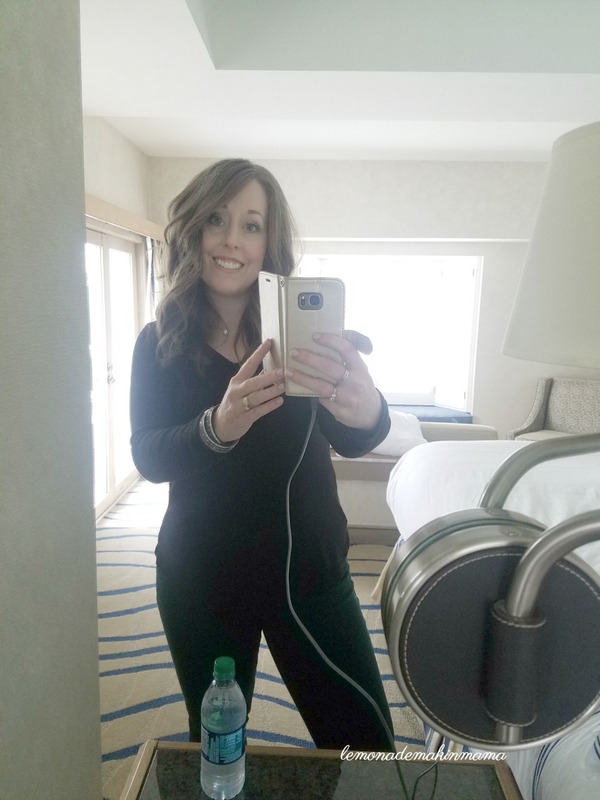 The dress code was business casual but I wasn't attending all of the functions that my husband was so I was able to wear/pack one dressier outfit and two more casual outfits. There was however, a big party with mandatory costumes required... the theme was famous couples. 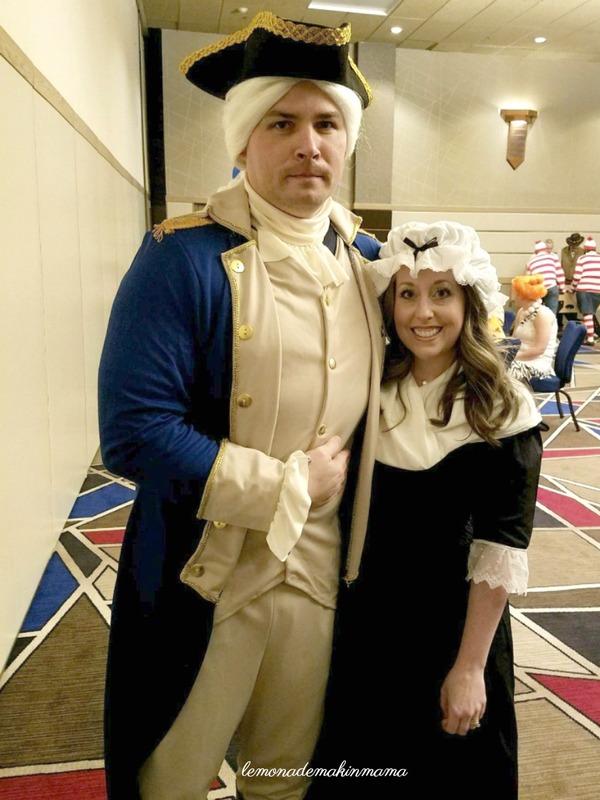 My husband chose George and Martha Washington. The goober. So I had to also pack a huge skirted eighteenth century dress into the bottom of my carryon... which I did, and then ironed it once we got there. I had to share the photo of us, that a friend took... Adrain was trying to look like George Washington but I told him he also kinda looked like he was suffering from food poisoning. Haha! 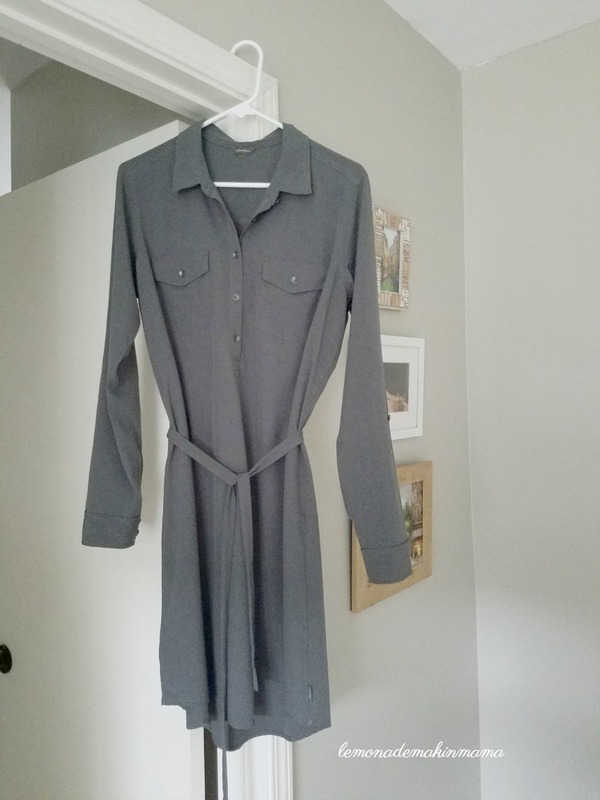 I wore this gray shirtdress from Eddie Bauer on the plane with thick black tights and tall black boots, my packable coat and simple jewelry of a diamond necklace and studs. (Incidentally you simplify your entire LIFE by choosing one jewelry look that works with everything, everyday.) The dress is extremely comfortable and I'm a huge fan of this line. I own it in both the navy and also in gray. I chose to wear it on the plane because the meeting I had to attend and dress for was shortly after we landed and the boots were my bulkiest shoes. It worked terrifically and I even spilled tea on the dress in transit, but once we hit the hotel room I quick scrubbed it with soap, gave it a rinse and it was dry within the half hour, looking perfect again. No weird travel creases, polished and very comfortable. The second day was a meeting day for Adrain most of the day so I wandered around, spending quality time in my favorite coffee shop, getting room service and enjoying some of the local shops. I was glad I had my boots and coat as it was far colder than I realized. I had originally packed a pair of dark green skinny jeans and a black blouse with a black camisole underneath it but as luck would have it, I ended up wearing that outfit the first evening with a pair of gray flats (more on those in a moment) because I was feeling a tad overdressed for the evening event since everyone was donning jeans. I was so glad that I always follow the black tee shirt rule when packing. (Did I make this up? I'm not sure, I've just always done it.) Always, always, always throw an extra, quality, classic black tee shirt into your bag- long or short sleeved, depending on the destination. It's saved me countless times and can easily be adapted with a scarf, long necklace, or something of that nature, if need be. Since I had already worn my black flowy blouse, the first night, I opted to pair my green jeans and boots with a long sleeved black tee. It was perfect for exploring and relaxing all day and I still felt pulled together and intentional. 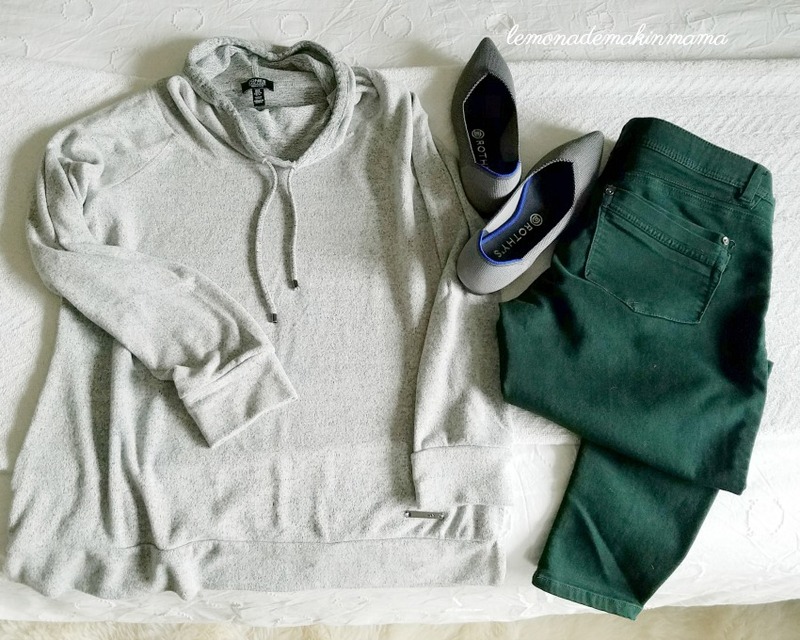 For the final day which was relaxed with early travelling home, I repeated the green jeans, wore a super soft gray sweatshirt that had just enough detailing to make it polished and the gray flats. I changed into my boots at the airport because my feet were cold. You may be realizing that the color pallet of what I packed was very versatile within itself (grays, blacks and greens.) and as I needed to mix things up, rotate shoe choices, etc, everything coordinated so that I was able do that. I purchased a set of these bags from Amazon last year and have absolutely LOVED them. I toss them inside the big one and that fits neatly into my personal bag, alongside my phone, clutch purse, snacks, notebooks and such. I had to laugh, I was almost out of my full sized deodorant so I tossed that in and used it up while we were gone... I calculated that perfectly instead of buying a travel sized one. *I keep my carryon in my closet, on a shelf for easy access. 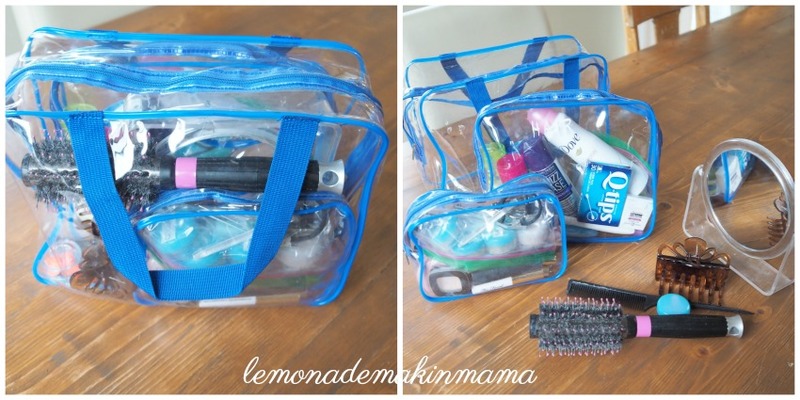 *Inside my carryon, I store my travel items to keep everything handy. This includes a travel pillow toiletries kit and tote bag that I use for my extra bag. *Inside the travel kit, are things I stash during my non travel days, such as free product samples, small sized items like the toothpaste from the dentist and such. I keep it nearly fully stocked at all times, so that I don't have to rush around cramming things in as I pack. It makes for streamlined packing, as I am generally just refilling any items that are low. *I keep the bottles and small containers labelled with aid of a label-maker. *I always store earplugs, sleep aids such as melatonin and some luxury items for puffy eyes in the kit because though you may not need them at home, they are often nice to have in a strange place. *outer carryon pocket may also contain gloves or knitted hat, etc. So that's my system. I really don't veer from it and I hope this was a help for those of you wanting to streamline your travel preparations. It's a bit trickier travelling with kids, but non-stroller aged elementary age kids can wheel a small carryon bag for themselves and wear a backpack with their personal items in it too. We didn't fly a ton with littles, but that's what worked for us when we did. If you're staying someplace with access to a washing machine a bonus tip is this... wash everything before folding and repacking for the trip home. It's so nice to unpack clean clothing, rather than deal with a mountain of laundry!! As always, give me a shout in comments if you've got any questions. As promised, I wanted to share the simple recipes that I used for the recent party I threw. This was the pound cake I've been using, except that I add almond extract, rather than lemon and I don't top with a glaze... I also bake in a bundt pan or two loaf pans instead of what they recommend. It is a fabulous cake but do not neglect to get everything including eggs to room temp first. 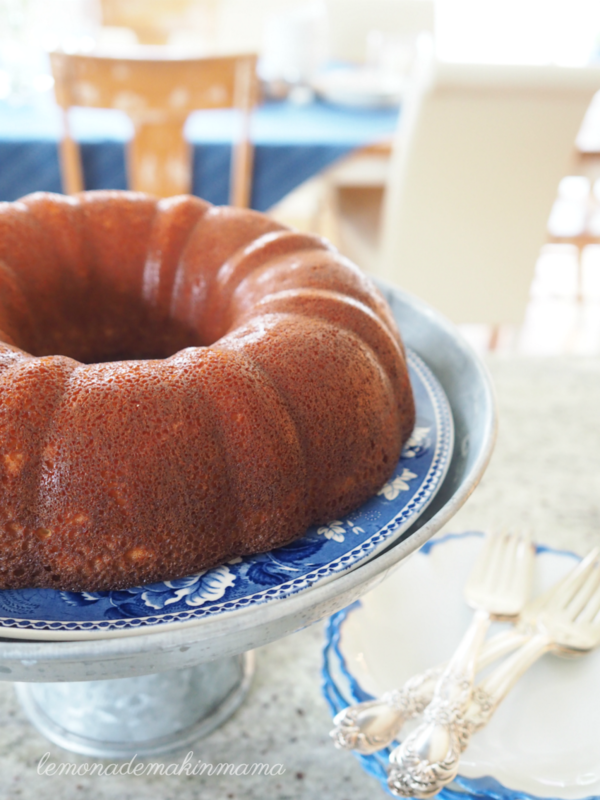 It is so good that people who mock my gluten free cooking and baking have actually told me that this happens to be the best pound cake they have ever had. And with eight eggs you can totally justify eating this for breakfast. I served a giant Caesar salad with this huge pot of soup. I like to take the easy road with hosting, so I used bagged, prewashed and cut romaine. I tossed them into a colander, gave them a cold water rinse and then refrigerated them for about half hour, to forty five min, in order to crisp them up. It's a marvelous trick. For the dressing, I toss the following into a bowl, whisk and pour over the salad right before serving and top with parmesan cheese. Everything was easy and yummy which is the way I like it. Up next, I hope to share a few of my favorite travel tips, packing tips, favorite travel products and such so stay tuned! I'm sitting here, sifting through about three dozen blog post ideas. The general topics I've gotten requests and suggestions on, all have a common theme. 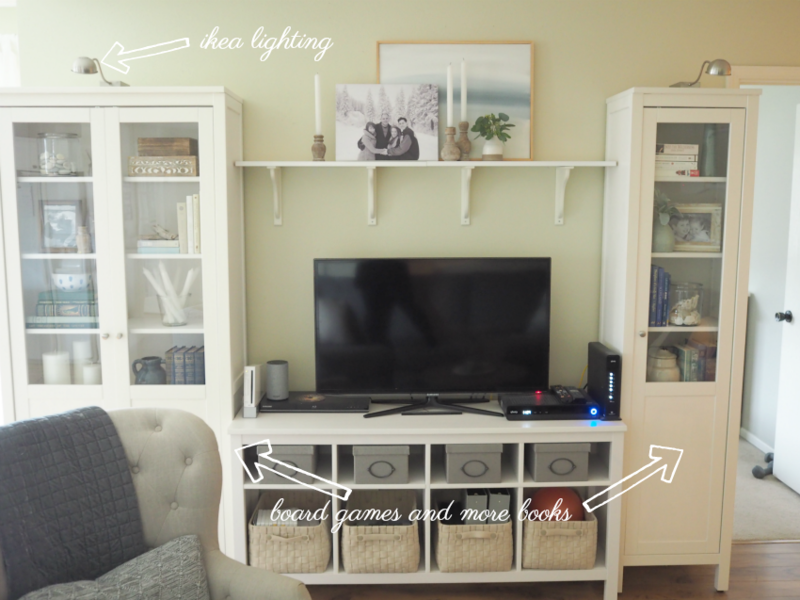 Organizing, downsizing, living with less and hosting more. Have I mentioned that I love you guys? I am probably going to be a little repetitive at times, for those of you long time readers (though many of you who asked for tips on the above, have already heard many of my thoughts over the years and wanted more!) I can't wait to dive into this blogging year now. I was feeling stuck, but as I was purging my closets and such, I kept getting such sweet feedback and comments asking for more on these topics, that now I'm excited to share. (At this point, I'm tentatively planning a Lent series on "Seeking Much," which will probably touch on topics ranging from heart to home. I'm planning an organizing series for our spring cleaning which may overlap a bit, into the seeking much series- I'll see as it comes together. It will include things such as junk drawers, laundry rooms, master closets and paper clutter. I'm thinking about writing a short travel tip post on packing, storing and staying organized and I may also touch on creating kits for various things in life as well as a few other random posts. You know me... I hope you enjoy, and as always, I welcome your feedback in comments. Today, I'm sharing part one, of how I plan impromptu, inexpensive yet meaningful parties from start to finish with little effort and time. (Next post, I will share the recipes for the foods I made.) For large holidays I tend to sit down and plan ahead a bit on paper, but for smaller gatherings, I tend to find one thing that inspires me and go from that point outward. As far as the starting point of inspiration, it could be the color of flowers in season, napkins that I'd like to use, a food theme, etc. Basically, inspiration can come from anywhere and when it hits me, I normally know immediately and it shapes the direction of my remaining plans from there. I figured the best way to explain how I go about this process is by telling you somewhat step-by-step, how I made decisions and preparations for my most recent party, as this is my typical method. Mainly, I don't overthink any of the details when I host, and I like this approach for a couple of reasons. Firstly, it's a lot less stress to simply go with the flow. Secondly, parties that come together in a more organically inspired way tend to be less wasteful and more fun. (That's an opinion, but try it and see if you don't agree.) As I go along, I kind of mentally keep track of what I have on hand, as well as what I might need or want to add in order to bring it all together. I'm constantly on a strict household budget, so I never go very extravagant and recycle much of my serving and party items which may seem repetitive for long time readers but it's very real life, so I think it's relatable. Few of us can go out and purchase all new items each time we host and if we did our storage closets would be bulging with items we store and don't use. (I also like multi-use things, for example, in spring, I might host using a pretty and fresh centerpiece that I plan to plant in the backyard once the event is finished, or I might hang platters on the wall for décor which double as... serving platters. You get the idea.) I try to look for ways to keep my good basics feeling fresh with each event, even if it's in small ways. I think that's actually a key to inexpensive party planning. Nice, quality basics that can be reinvented and reused regularly. Oh, and not stockpiling too much. That can honestly suffocate your hosting gene. Think, too much of a good thing. When it comes to organizing any party/hosting/serving items, I like to keep vases together, on a high shelf in the kitchen, and often vases can double as candle holders/hurricanes. I keep a set of drawers stocked with basics like cloth napkins, table runners, candles, tea lights and matches. All near the table and handy. I keep them sorted, labelled and ironed if needed, ready for use. (This also helps limit any hosting stress, as I am ready at a moment's notice, to pull items out for use.) I seldom fuss with things that get left on the table anymore, such as fancy and useless place settings and napkin rings. They clutter the eating surface and bug me so I don't even own any napkin rings. I keep two sets of silverware, our every day set and the silver set I inherited. I keep them in two separate drawers one on top of each other and that makes for simple options and much more use than if the good set was stored away somewhere. I don't personally believe in having anything that isn't used fairly regularly. Life is too short not to use and enjoy the pretty stuff. I wanted the feel of the event to be casual and relaxed and I have been loving the table throws I've seen in Pottery Barn, rather than a tablecloth and strictly set table. I own a very lightweight, blue kantha stitched throw that I almost consigned because it hadn't been used, being so light. I flipped it over and loved the solid background with the stitching. I decided to add that item into my table décor stash, and will now use it as such. I let that inspire the rest of the table/party décor. I pulled out my cloth napkins and loved the white plates with blue stripe classic napkin style. After that, I shopped my supplies and gathered items such as candles, soup spoons, a large bread board and the buckets with prosecco bottles. Once on the table, I felt that I needed some kind of greenery so I ran out to Trader Joes and found two bunches of Queen Anne's Lace, for $2.50 each. Those were exactly what I was looking for and they looked perfect on the casual, unset table. *A brief note about the unset table look. Obviously not appropriate for every gathering, but I couldn't help but love this casual and undone approach to hosting. It made for a pretty look that was both practical and functional for self service. My table is nine feet long but you could easily adapt this for a smaller table and it would work well for brunches or small group settings as well. It was festive without being fussy, stiff or formal. Perfect for the party feel I was reaching for. Up next, I'll be sharing the recipes I made. I hope this helps you as you put together parties, consider storing and organizing supplies and stocking up on basics. Hosting is a lot about being properly prepared and well stocked so being organized and editing anything that is excessive or unused is incredibly helpful. More than anything, I hope it inspires your hosting approach, helps you relax and let it take you where it wants, which will put you and your guests more at ease. As always I welcome any questions and will do my best to get comments answered within the week so make sure and look back if you leave anything.